When you are sorting through your items, unused items may need to go to the garbage, recycling or can be re-purposed. Finding a new life for your things might save your money. 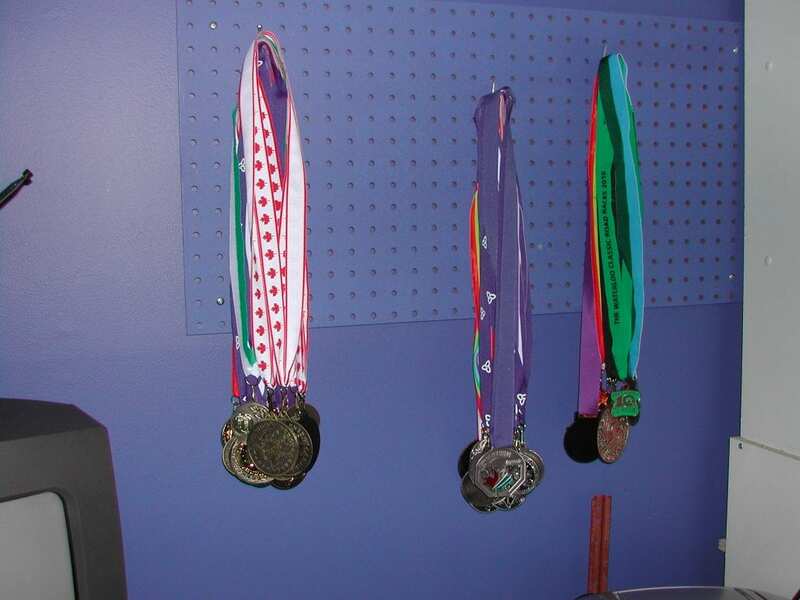 A peg board can make a great place to hang jewellery or medals. Paint it the same colour as the wall. If you prefer decorate it and make it a piece of artwork to hold you items. A magazine holder can be used on a shelf, standing up or laying down to hold paper products in your kitchen, wax paper, baggies, parchment paper, plastic wrap etc. 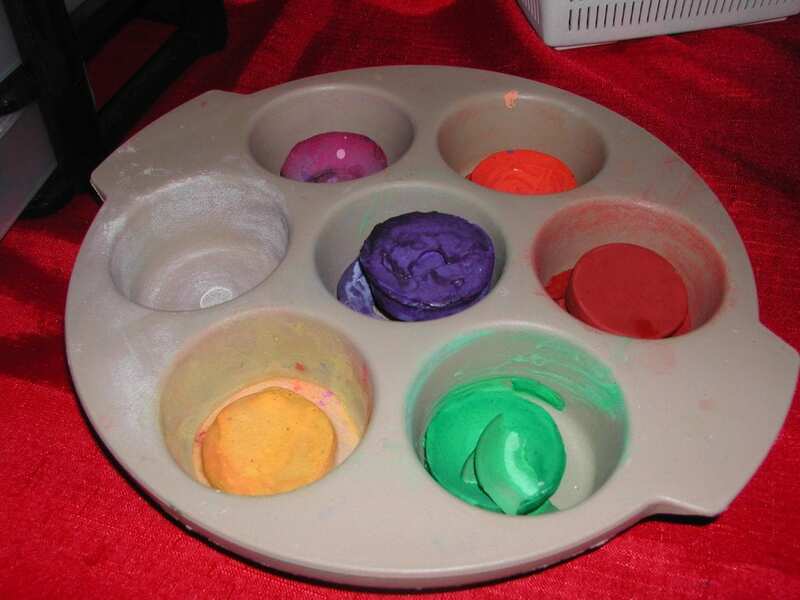 Muffin tins can hold paint for those touch up jobs around the house. 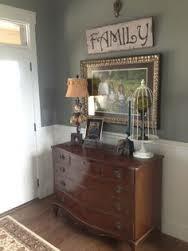 Dressers make great entryway storage places. Paint or decorate it to match your entryway and then use the drawers to store, keys, sunglasses, sunscreen, scarves, mitts, hat, baseball caps etc. Icing containers. If you buy icing in the grocery store they are great containers for storing pens and pencils on your desk. Once the label is removed it is a beautiful white container. Cleaning Caddy can be used to hold art supplies. 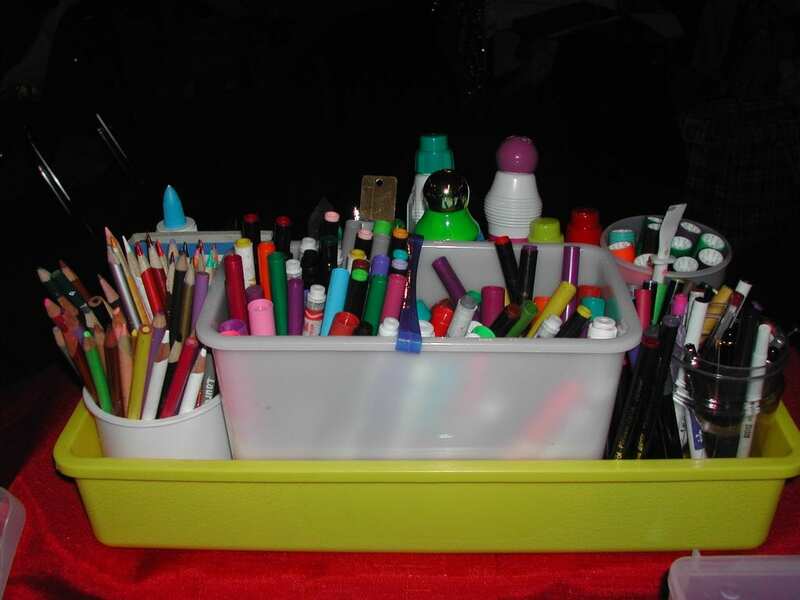 Use the icing containers to hold crayons, rulers, pencils, stamps, glitter glue. Add scissors, glue, tape stapler and you can take your art supplies anywhere. Laundry hampers can be used to store extra pillows or blankets. It is a great way to keep them neat, clean and out of the way until they are needed for company, watching TV, laying by the fireplace. Picture frames can be turned into chalk boards, white board or magnetic boards by painting the cardboard or wood insert with specialized paint. It comes in lots of colours. 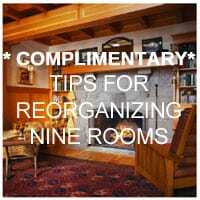 Leave a comment and let me know what best thing you have repurposed and its new use.